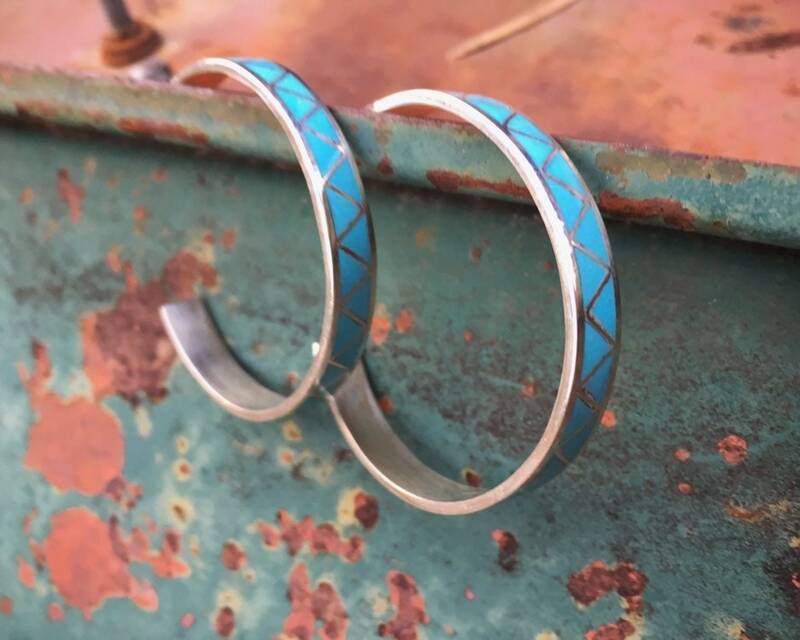 These hoop earrings feature blue turquoise in "channel inlay" setting around the outer side of a thin sterling silver band, which ends with a post. 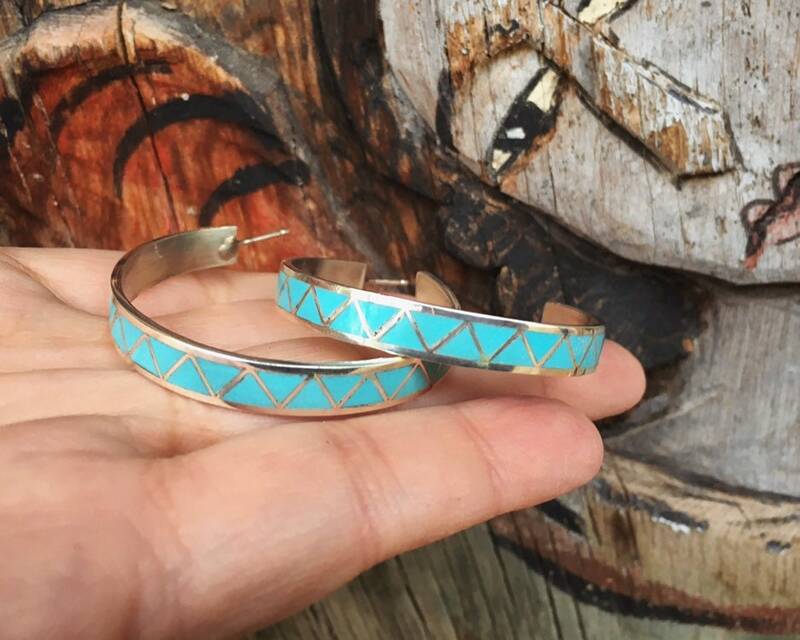 Channel inlay is complex--the artist cuts the turquoise precisely to fit the shapes created by the silver outline. 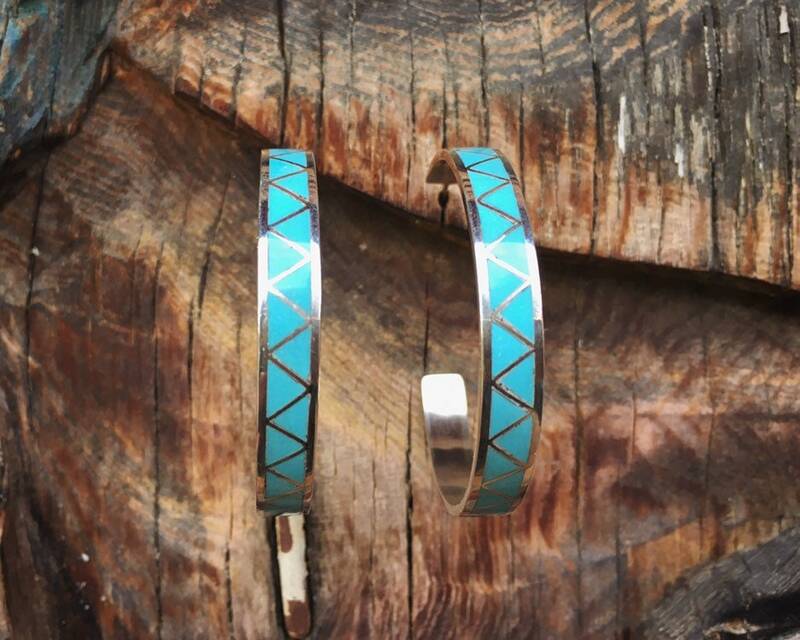 This particular type is also called flush inlay, where the pieces are flush all around, which requires extremely thin and stable turquoise. 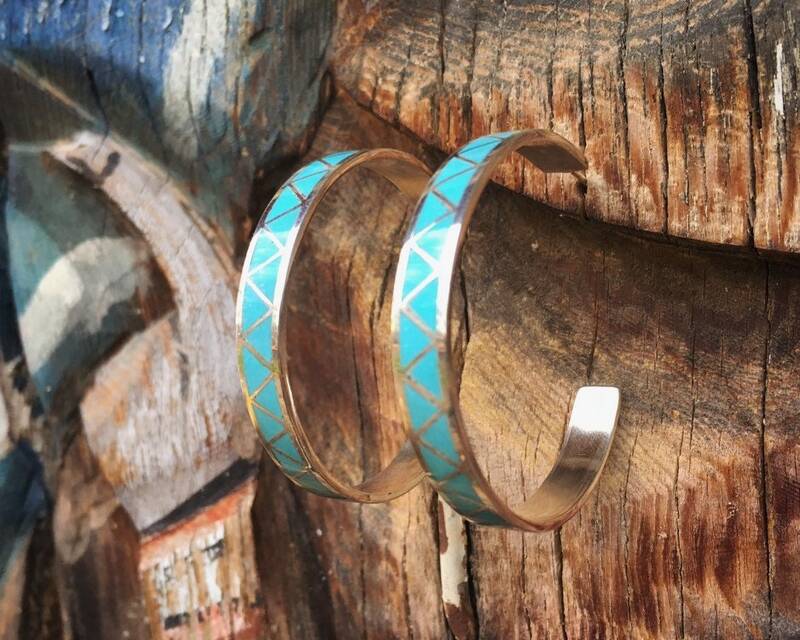 Their thin profile keeps them relatively light. 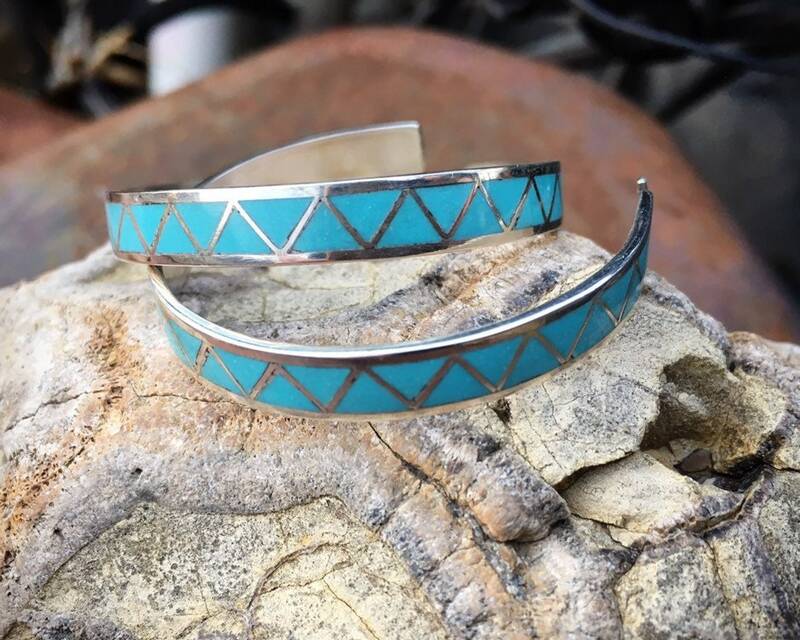 For those who love hoops, these earrings are uniquely Southwest and so current, combining turquoise with this most retro and mod of shapes. 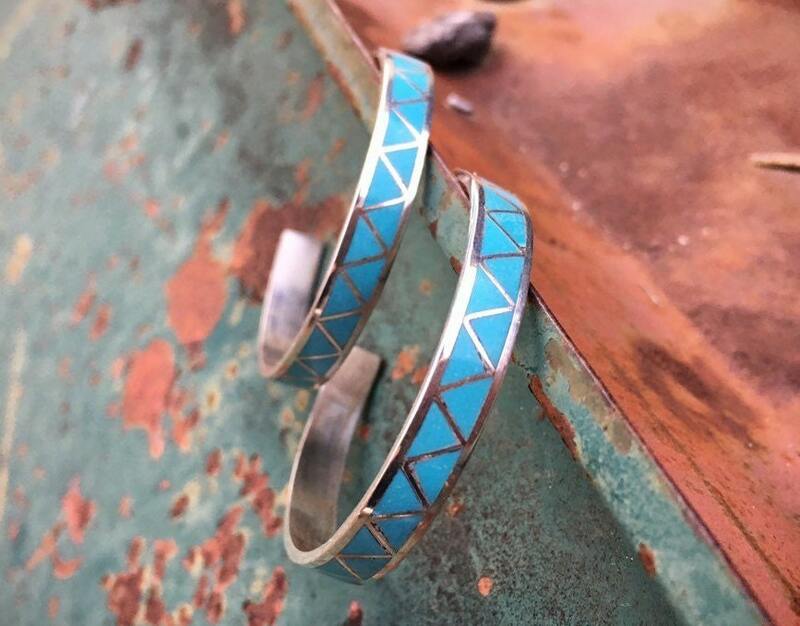 These carry hallmark CH Zuni, which may stand for Carmichael Haloo, a Zuni artisan known for this style of inlay. 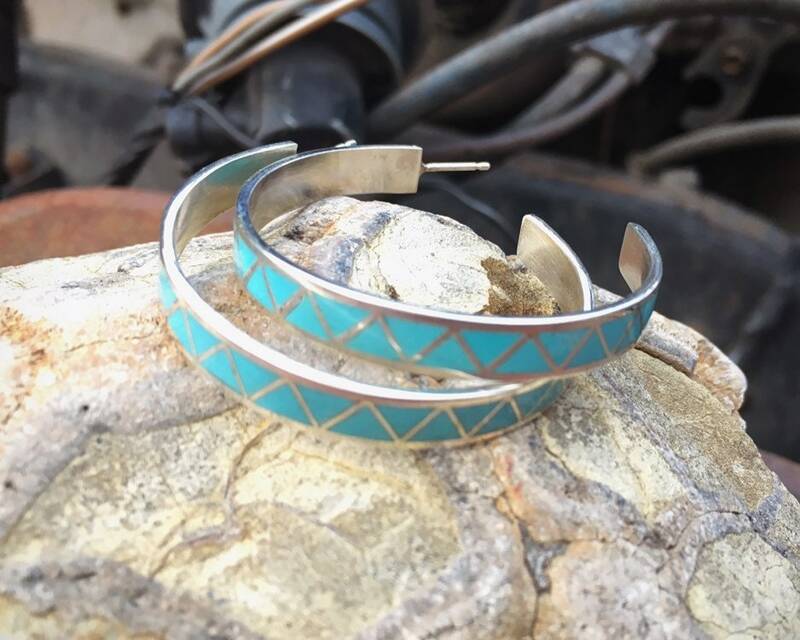 Each earring measures 1-5/8" in diameter (measuring across, not around) and if you take a tape measure all the way around the inside they are 3-3/4" not including the post. Carry a STERLING stamp. 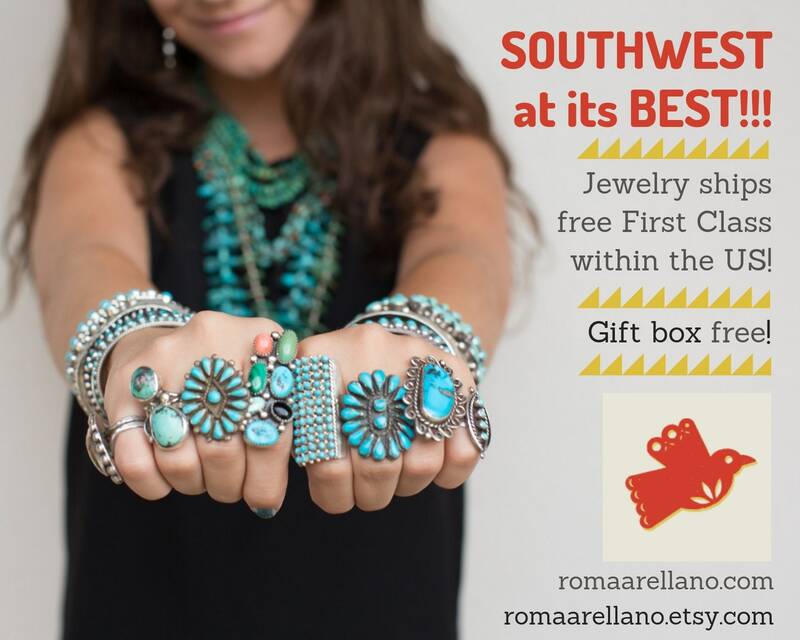 In good vintage condition with all turquoise pieces solidly seated.